Chrome Plated Silver Cigar Cutter - Heavy Bodied Guillotine Sterling - Weighs 1/4 LB! Weighs 1/4 of a pound! This superior grade heavy bodied guillotine cutter has a solid weight and feel and looks great! The brilliant silver chrome plated finish is stunning. 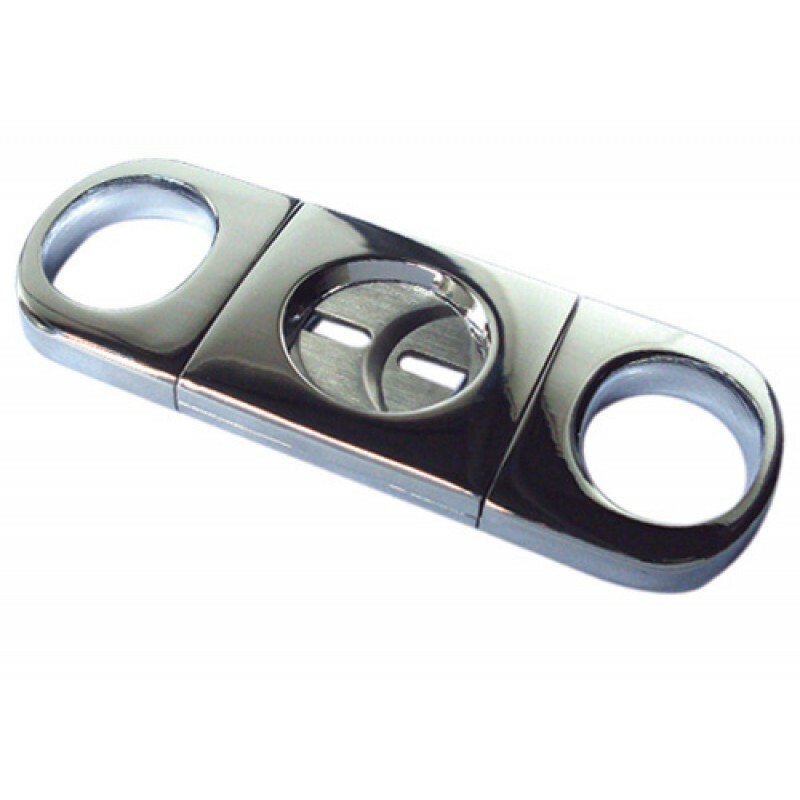 Offers a precision, clean cut for cigars up to a 60 ring gauge. 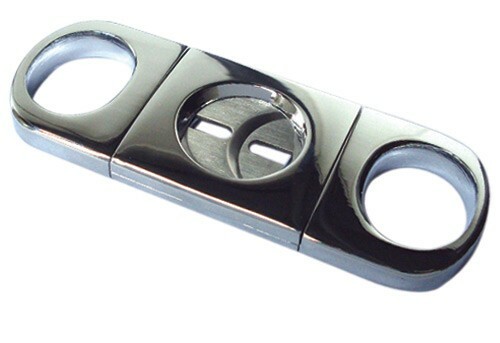 Pay as much as $39.95 for this cutter in retail stores! Includes a handsome black gift box. Weighs 1/4 lb! Gun Metal Finish Heavy Bodied Polished 60 Gauge Guillotine Cutter.